Exclusively a Family Law Attorney, Kendall Summers has over 25 years of experience in the practice of law. A graduate of American University’s Washington College of Law, she was an Editor of the American University Journal of International Law and Policy. Her excellence in the profession was formed by her early work with our nation’s premiere law firms. Beginning her practice with Senator Birch Bayh (D. Ind), she then practiced in Washington, D.C. with the national firms of Morgan Lewis & Bockius, Howrey and Simon, and Willkie Farr & Gallagher. Attorney Summers is a practiced litigator, court-certified mediator, and technically skilled, not only in the delicacies of Family Law, but also in Adoption Law, Wills and Trusts, and Elder Care Law. She describes her practice as being there for all aspects of family life, from birth and adoption, marriage, the difficulties of divorce and separation, support, custody, property settlements, wills and trusts, and providing legal help to our elders. Life is full of difficult as well as positive transitions. We stand fully beside our clients and strive to provide a supportive and meaningful legal experience that helps our clients through and brings them where they need to be. Attorney Summers is also an experienced negotiator and mediator. In her own words, Attorney Summers describes her practice as “committed to excellence in serving others.” At our firm, we strive to provide a caring and positive legal experience through life’s transitions requiring legal assistance. Attorney Summers and her staff pride themselves on being client-centered: listening and taking particular care in discerning their clients’ needs; always striving to guide our clientele to the best, most affordable legal pathways; and making clients feel as comfortable as possible. 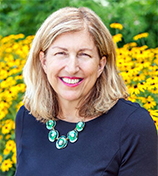 In addition to her legal work, Kendall Summers is also a rostered leader in the Evangelical Lutheran Church of America; and serves on an advisory board of National Lutheran Communities and Services.